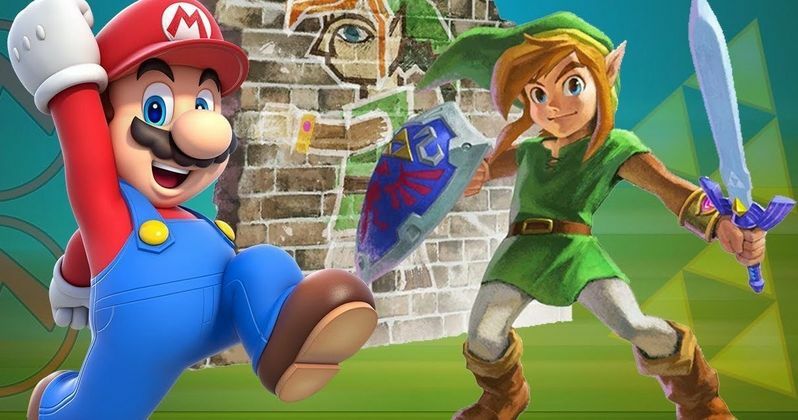 Will Mario, Link & Zelda Unite for Lego Inspired Nintendo Movie? The Lego Movie producer Roy Lee has a dream project sitting in his back pocket, and he thinks it would be the ultimate video game movie. Using his previous animated adventure as inspiration, he wants to unite all of Nintendo's characters in one epic movie. The Vertigo Entertainment president recently spoke out at DICE 2016's "Franchise Fever: Pursuing Ideas and Big Audiences" panel. And it was here that he revealed his ultimate goal. Only problem is, he does not own the rights to any Nintendo character at this time. Video game adaptations were a big talking point at DICE 2016. And Roy Lee did not shy away from expressing his grand idea for what would ultimately be his dream movie. While he is currently in the process of helping to develop and produce both the The LEGO Batman Movie and Ninjago, as well as the long-awaited Adventure Time Movie, it's a couple of iconic video game charters that have truly captured the man's heart. He had this to say about his ultimate work goal. "Mine would be Nintendo. I think Zelda, Mario, and the whole universe of characters would be perfect for a Lego Movie type of [film]. I don't have the rights to it, but I would love to. That would be my Holy Grail." CEO and president of Prime Universe Films Adrian Askarieh was also on hand, and agrees that Nintendo has the most diverse universe, and will probably be a cinematic success if it is brought to the big screen in just the right way. Now, it's up to Nintendo to find the right people to bring this proposed adventure to life. When asked how Hollywood can make better video game movies, the pair agreed that the game creators themselves need to be brought into the process. At this time, Adrian Askarieh and Roy Lee are working together to bring an adaptation of the popular video game Deus Ex: Human Revolution to theaters around the country. For a while, it looked like Netflix was moving forward with a live-action The Legend of Zelda TV series, but that has never been confirmed. Nintendo decided way back in 1993 that they would not attempt another movie adaptation after Super Mario Bros. bombed big time at the box office. Related: Real-Life Mario Kart Street Racing Is Finally Coming to the U.S. But in August of last year, it sounded like the video game company was ready to change their tune. Nintendo's creative mastermind Shigeru Miyamoto announced that Nintendo was slowly starting to develop possible movies based on their iconic properties. But we haven't heard anything about that since. It was noted that any upcoming movies will be overseen by Nintindo's Software Planning & Development (SPD) Division, which is run by Shigeru Miyamoto. The first announcement that Nintendo was gearing up to once again make movies based on their characters was found buried in the company's June 2015 earning statement. It claimed that the company was taking a more active approach to areas outside of video game business. This includes visual content production and character merchandising. The roots of the movie movement actually began a few years ago, when, after keeping it's characters away from the hands of Hollywood directors for so long, Nintendo agreed to let fan-favorite Mario character Bowser have a cameo in Disney's 2012 CG animated adventure Wreck-It Ralph. That worked out great for all parties involved, and got Nintendo excited about movie prospects once again. But then, Nintendo's next foray into theatrical entertainment didn't pan out so well. They allowed director Chris Columbus to use Donkey Kong as a central character in Pixels, which also featured cameos from Mario and the Duck Hunt dog. The movie was a flop, making only $66.4 million to date off an $88 million budget. The film has fared better overseas, where it has pulled in $91 million for a worldwide total of $157.5 million. Donkey Kong's presence in the film almost didn't happen. Chris Columbus revealed in an interview at the time of the film's release that it took months and months of meetings with the Nintendo board before they finally agreed to Pixels using its characters. The stipulations were that the filmmakers treat the properties with respect, and only showed proper gameplay. Shigeru Miyamoto says his company is more open now than ever before to basing a film completely on one of its video games or characters. As of yet, Nintendo has not made any announcements about a film or TV partnership. Its current focus is on making mobile games for iOS and Android devices while they simultaneously create new hardware. What do you think? Do you want to see a Nintendo movie featuring all of the iconic characters housed under their roof? It worked for The Lego Movie! So, why not.